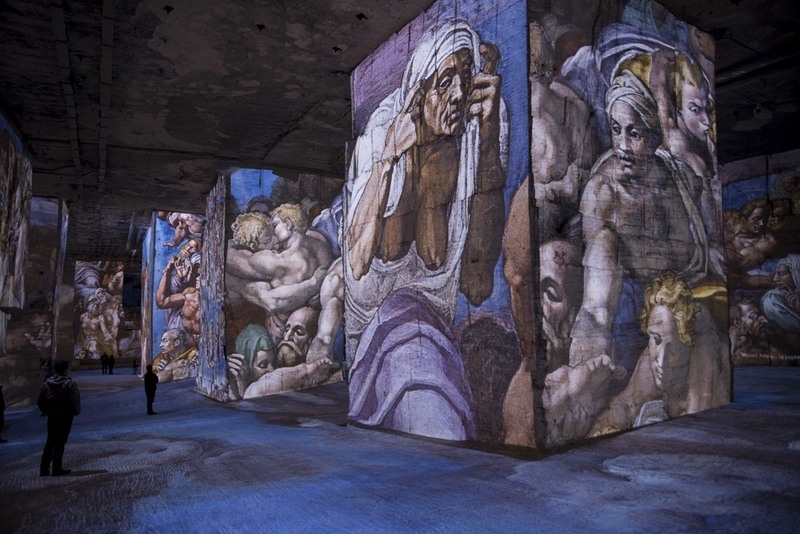 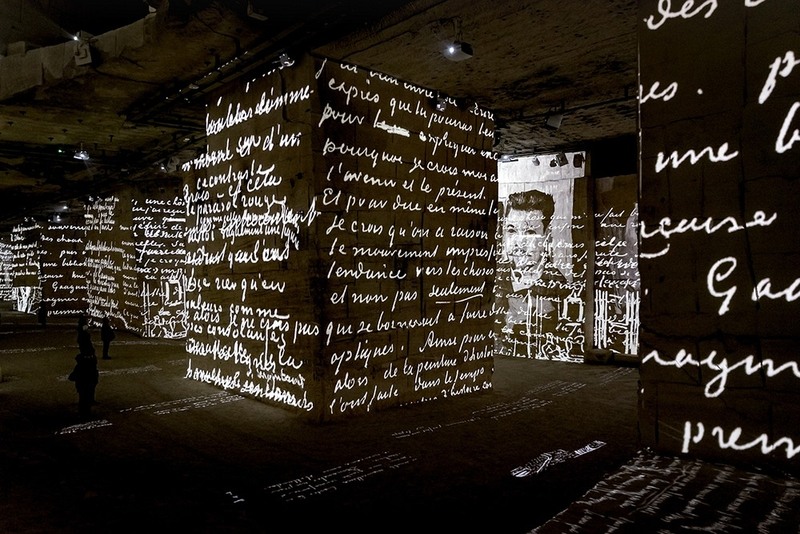 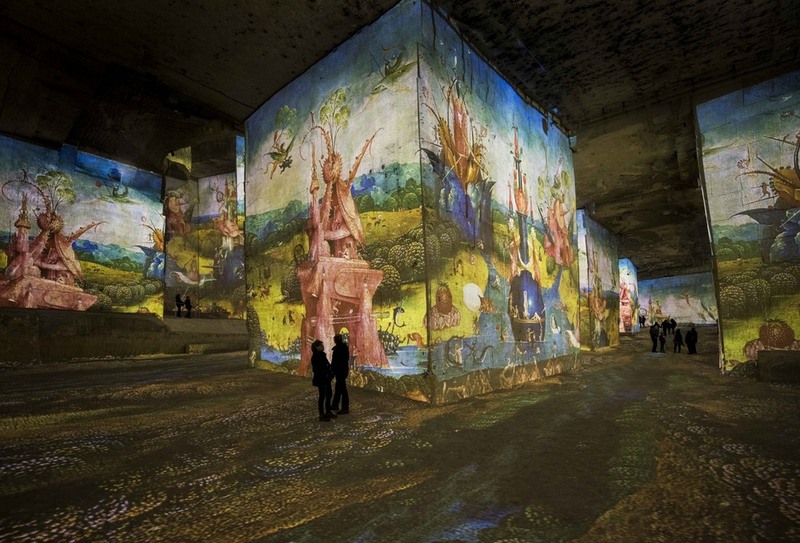 In the Les Baux-de-Provence of southern France, is located Carrières de Lumières, or the Quarries of Light—an unusual multimedia exhibit space dedicated to art and music, housed inside a former limestone quarry. 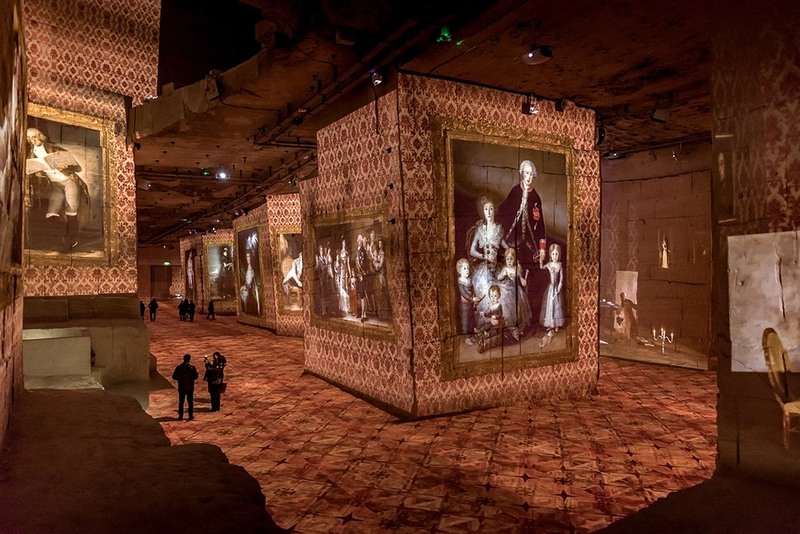 For many centuries, limestone was extracted from the quarries in the Alpilles mountains to build the nearby towns. 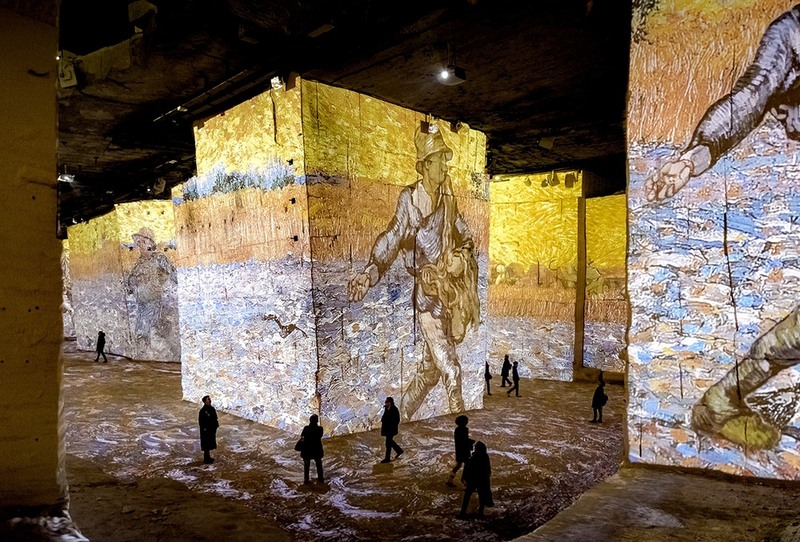 But as the 20th century rolled in, new building materials such as steel replaced stone and the demand for limestone fell, until it became unprofitable for the operators to keep the quarry running. 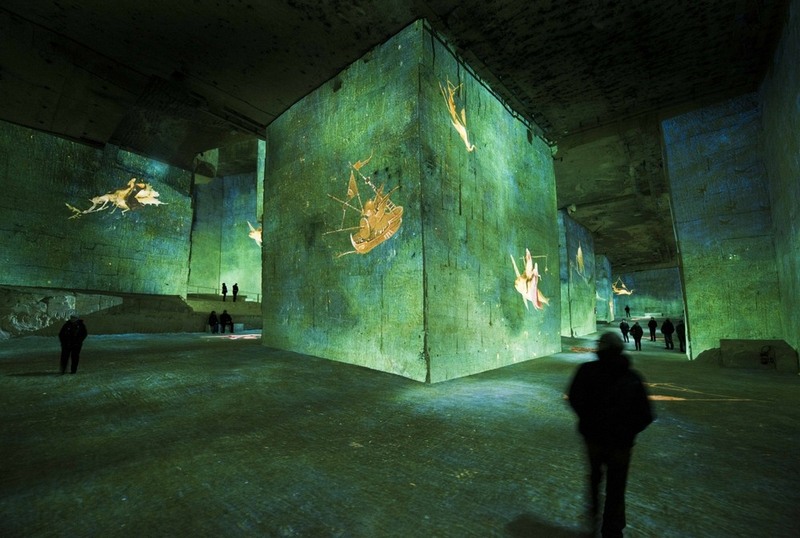 The quarry closed in the 1930s. 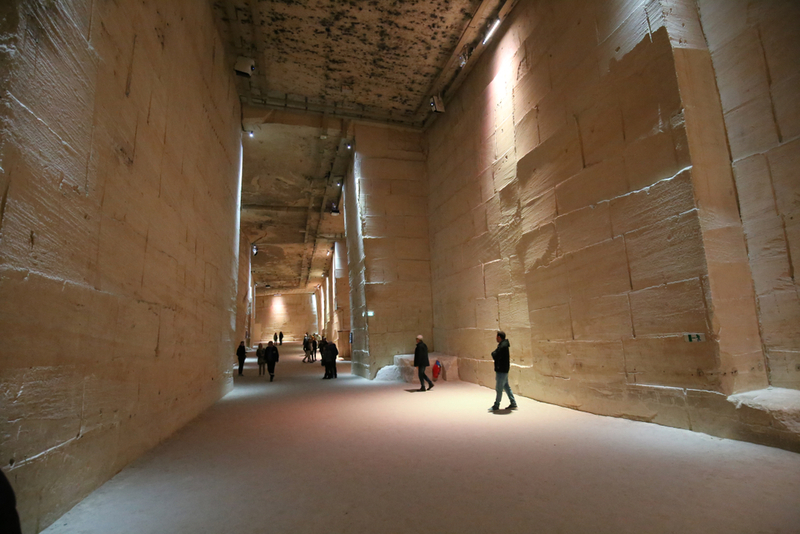 In 1976, the gigantic empty halls created by the extraction of limestone was turned into an artistic space. 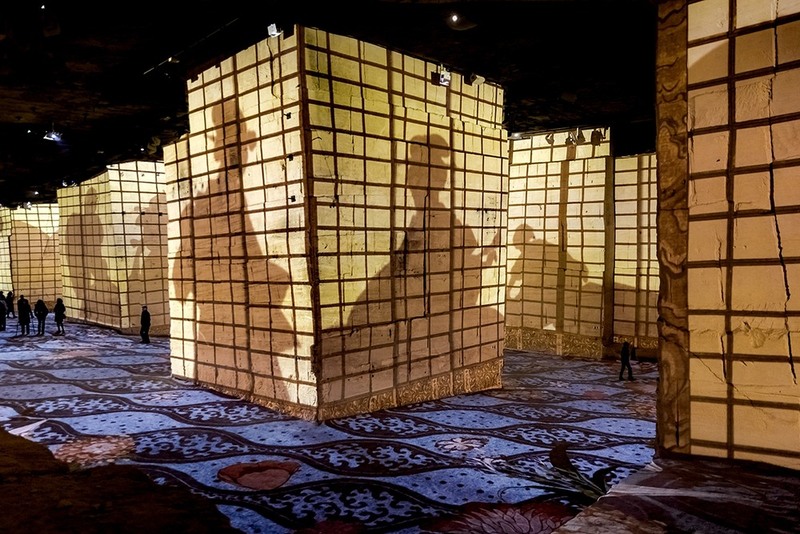 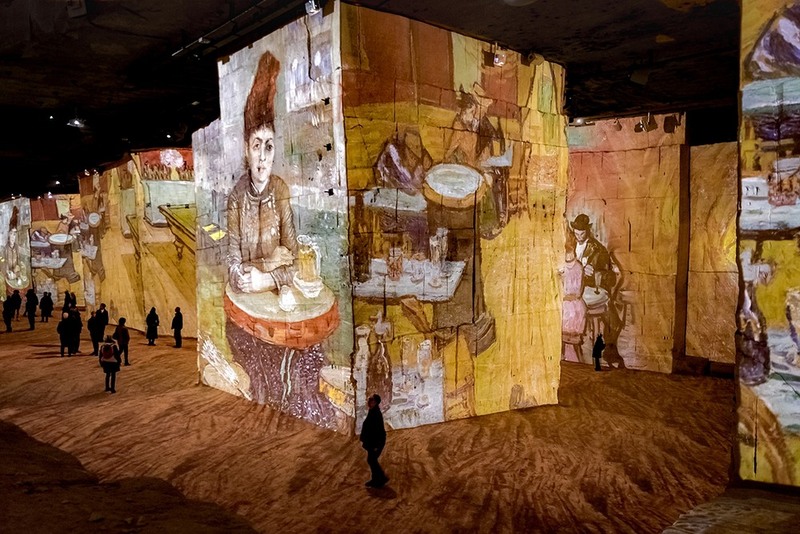 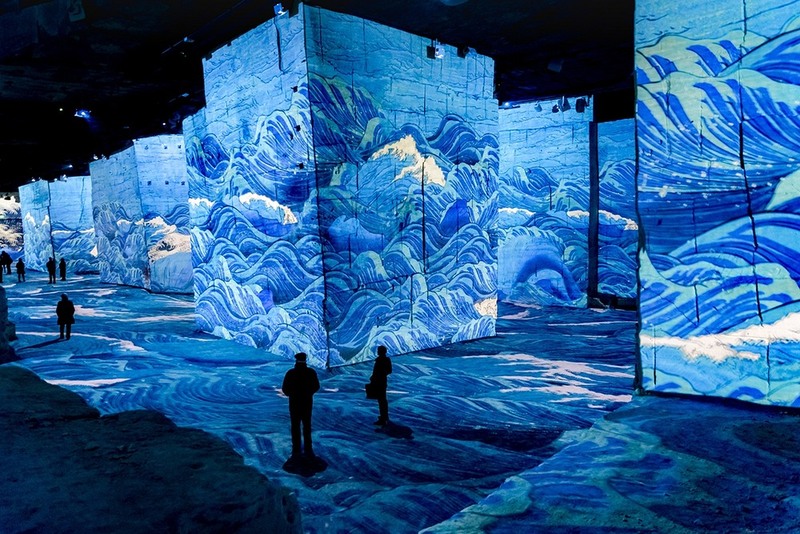 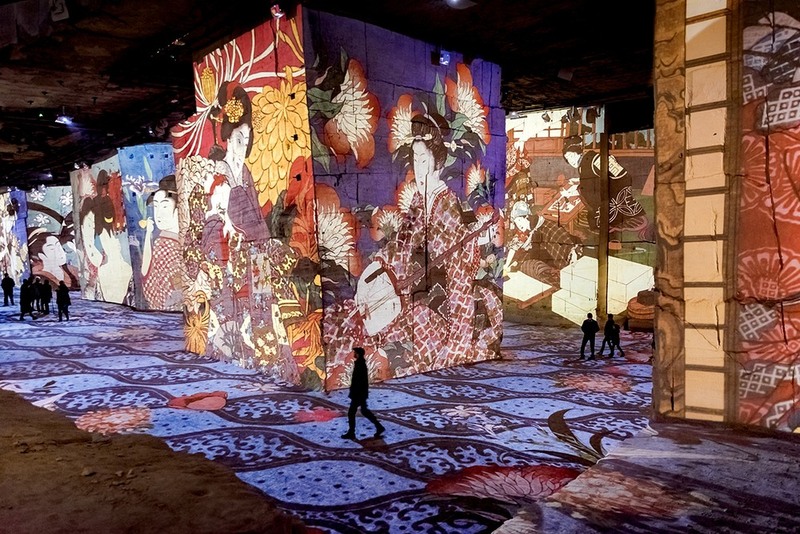 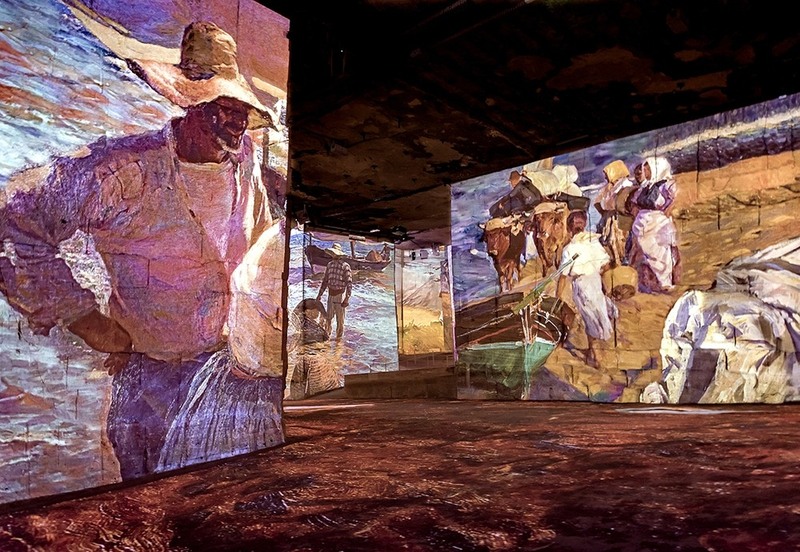 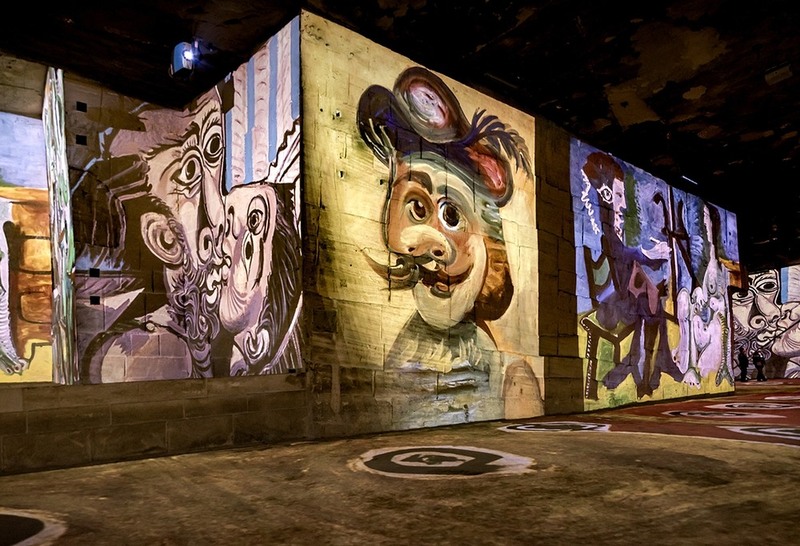 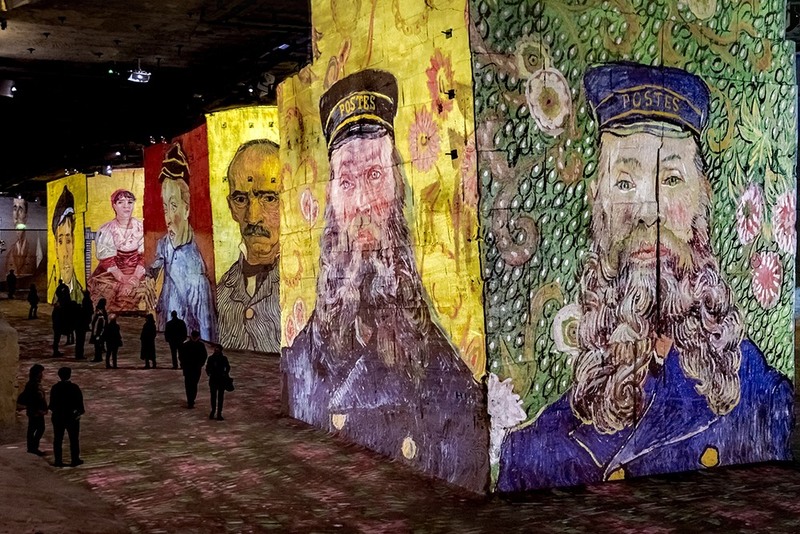 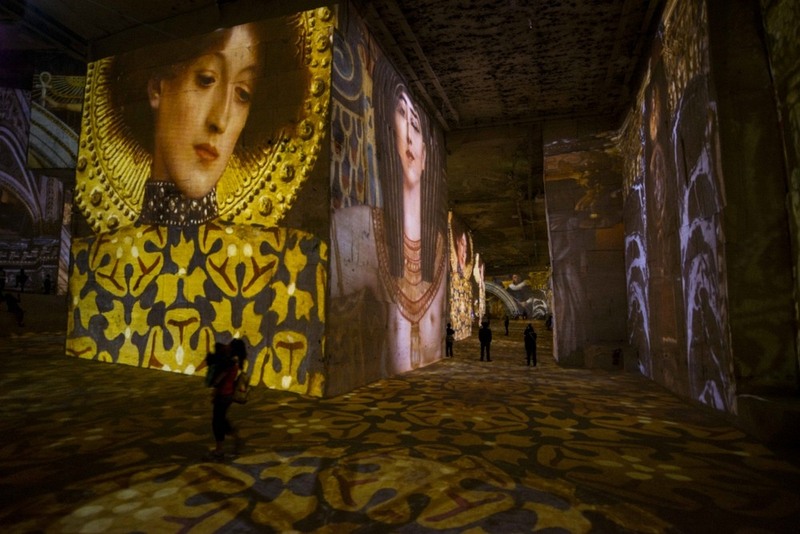 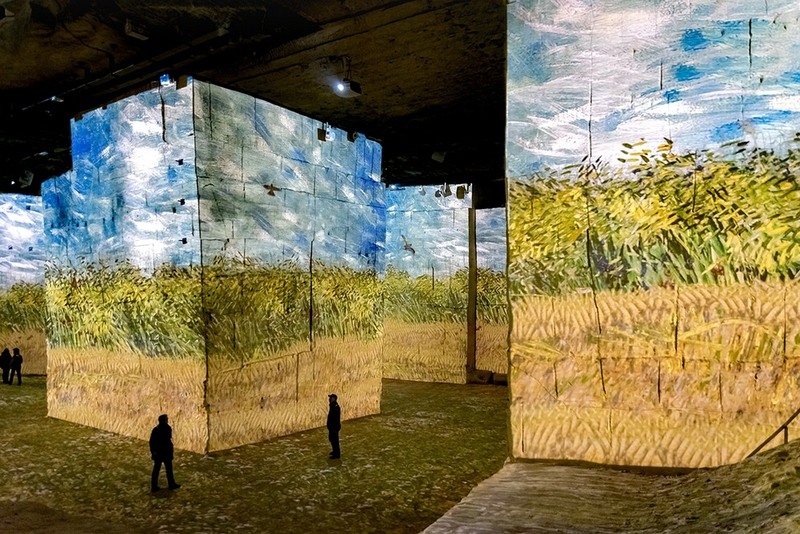 Instead of hanging framed artwork on the walls, Carrières de Lumières use projectors to paint the walls, ceiling, and floors with light, bringing both still and animated images of artwork to life across the entire space.